Healthy skin needs healthy diet. Everyone wants to have healthy skin. People spend a lot of money on cosmetic products to get the glowing and beautiful skin. But if you’re not following the right diet you’ll never get the healthy skin. So what are the best foods for skin? The best foods for the skin are those foods which have the important nutrients that benefit our skin most. It’s true that good quality cleansers, moisturizing lotions and creams can enhance your skin condition but to get a real healthy skin you need to choose the more natural way. Right skin diet is important because it treats the skin internally. Healthy skin is not all about only healthy eating. It’s also about what you are not eating. You need to cut out junk foods or fast foods from your diet to get healthy skin. It makes a difference not only on your complexion but overall on health. A well-rounded diet is what you need for healthy skin; the diet including healthy fats, sufficient protein, and lots of fruits and vegetables. But there are few foods which are special and important contributors to healthy and glowing skin. Fish: Fatty fish like salmon, tilapia, and cod are great for the skin. The Omega-3 fatty acids in this fatty fish are excellent to keep your skin healthy. Omega-3 fatty acids are helpful to improve any kind of skin diseases including rosacea and atopic dermatitis. Also, these fish are rich in Vitamin D which is extremely important for healthy skin. Green Tea: Green tea contains variety of antioxidants and also high in Vitamin C, D, and K, zinc, calcium, magnesium, and iron. Anti-inflammatory compounds in green tea fight aging and inflammation. Broccoli: Broccoli is packed with Vitamin A, Vitamin C, Vitamin K, Fiber and Calcium. Vitamin C is a powerful antioxidant, Vitamin A decreases oil production and Vitamin K helps prevent bruises. Berries: All kinds of berries such as blueberries, blackcurrants, blackberries, raspberries, cranberries, and strawberries are loaded with antioxidant compounds and very effective in fight free radicals and help to neutralize skin damage. 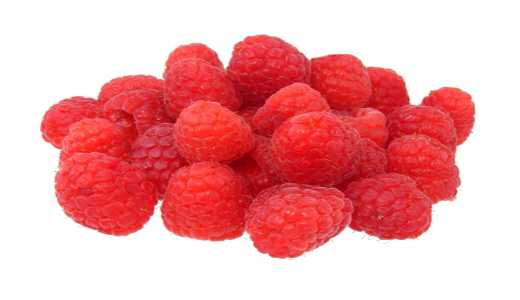 These berries are also excellent source of Vitamin C, Vitamin E, Riboflavin, and Soluble and Insoluble Fiber. Low-Fat Dairy Products: You can get a lot of Vitamin A from low fat dairy products. Fat-free skim or 1% milk is a good choice as this also contains high amount of Calcium. The best choice should be low-fat yogurt. Consuming too much junk and prepackaged foods will not only result in weight gain but also a pasty complexion and hair that's lifeless. However, glowing skin and glossy hair can be yours in days - and you don't have to spend a fortune on potions and pills. All you have to do is eat the foods your body needs to look its best. But in the end the most common and important one – water. We all know how much it is important to keep our skin hydrated. So ensure you are drinking enough water to keep your skin alive and glowing. So, these are some of the best foods for healthy skin. If you include these healthy foods in your diet you’ll certainly feel the difference within few days.